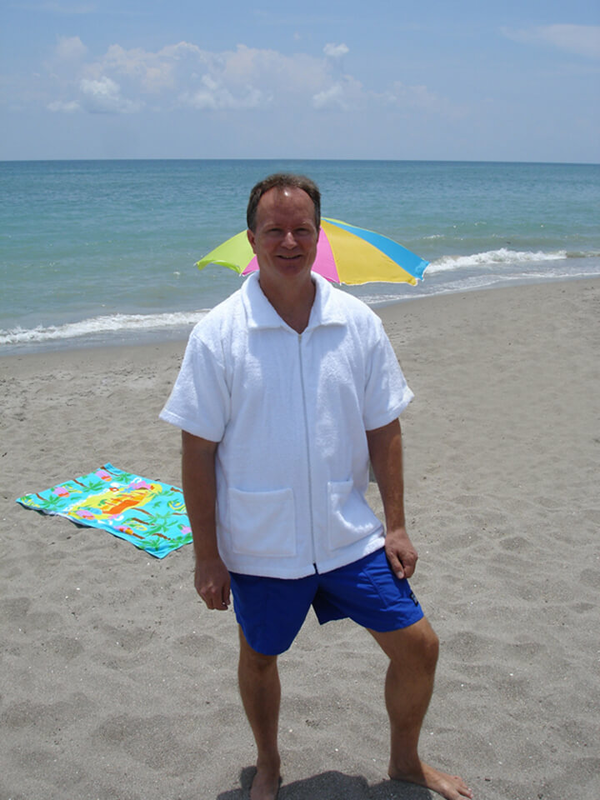 1 - Beach_Jacket/s $44.90 ea. 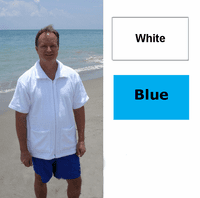 2 - Beach_Jacket/s $41.90 ea. New! 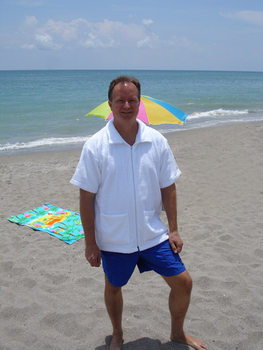 Terry Beach Jacket in a longer 33 inch length in many sizes and white or blue colors in 100% Cotton Terrycloth. This will be perfect for the man in your life that is over 6 foot 2 inches or just likes it longer. Quality made especially for Wittmann Textiles Company in Turkey. Machine wash and dry. * Width - across the chest and waist of the jacket after being washed (it will be an inch wider when you receive the jacket). ** Lengths - from the back of the collar to bottom hem. Measurements above are after shrinkage. This style is not available in Long Sleeve.